"HackMeck is the weekend hack retreat of the openSUSE Boosters team in the openSUSE development room @ FrosCON. The aim of HackMeck is to advance Connect, the social networking framework the project is using to connect its users with each other. This is a great opportunity for new contributors to participate together with experienced members on some specific objective. Connect is built on top of the Elgg plattform and most of the features we want are already available as Elgg plugins. We will evaluate and enhance those in order to match our expectations. However, some additional features will also require the creation of new plugins. Connect runs on a combination of a web server and the MySQL database and is written in the PHP scripting language. If you already posses knowledge about this very popular web server environment we encourage you to join HackMeck! But even if you don’t there are plenty of cool things to do and this weekend will give you the opportunity to learn and further yourself." "Discussions were held. Feasibility tested. The result is we now have our own German language forums together with 11 new German language forum moderators. I would personally like to welcome erikro, caerdu, pistazienfresser, Kaiserhg, Fruchtratte, Lehmama, HRGargi, Esvau008, lOtz1009, johest, and Linuxsusefan as our newest forum staff working in the German language forums. Also buckesfeld deserves a pat on the back for putting in all the work needed to make this happen." "Javier sent us the following announcement: It’s my pleasure to announce the next KDE Bug triage :-) It will begin next Friday (13th) and end on Monday (16th). ..."
openSUSE-RU-2010:0483-1 (moderate): star: This updates fixes a buffer overflow in star. openSUSE-RU-2010:0485-1 (low): ImageMagick: It cannot compress grayscale TIFF images with JPEG. Fixed by this update. openSUSE-RU-2010:0486-1 (moderate): apparmor-utils: It is totally broken - can't find their perl module. Fixed by this update. openSUSE-RU-2010:0488-1 (low): xpdf-poppler: This update fixes a crash in xpdf-poppler. openSUSE-RU-2010:0489-1 (low): build: Distribution default is wrong. Fixed by this update. openSUSE-RU-2010:0497-1 (low): sysvinit: "startproc/checkproc/killproc" do not work with scripts. Fixed by this update. openSUSE-RU-2010:0498-1 (low): yast2-add-on-creator: Yast Add-on Creator build broken addons when multiple addons at one time are created. Fixed by this update. Repositories: 23222 (+508) by 24259 (+102) confirmed users. "Now that Mono has moved to GitHub, a number of contributors (including myself) have been somewhat lost, not knowing how to properly use Git. So today, I'm recommending a book to help all the lost souls out there get comfortable with using Git. As many long-time programmers probably know, O'Reilly books are top notch. Most probably also would not be surprised that O'Reilly has a book covering Git: Version Control with Git: Powerful Tools and Techniques for Collaborative Software Development." "It could be very useful, when Amarok could sort my files in my "Music library" (directory with all music), like Banshee or iTunes. (...)"
#310310: Installer partition layout to allow "Whole Disk Usage"
"Currently the installer doesn't provide any option for Whole Disk Usage for a single purpose (such as rootfs or swap or /home etc...). Whole disk usage means there is no partition table and that file-system or swap is formatted directly. (...)"
"The default PATH settings for root and normal users are inconsistent at various places in the distribution: (...)"
"Add to documentation a chapter on howto set up wireless on opensuse covering (...)"
"erence the options of the Mandriva control center in the seccion of security and Bastille Linux might be useful to integrate them into Yast and enable end-users productive, non-technical users and users with technical conocmientos to better configure more options OpenSuse single or a test response questions as if you use p2p sharing applications like ktorrent and amule (which may also cause the system to check the configuration of ktorrent and amule, as the firewall ports to open suse firewall automatically with no configuration by the user ) a few end users and productive users and know about Bastille Linux Bastille Linux and know how to use. And in the Mandriva security check I've seen some options that are not in Yast, local security firewall and perhaps there is something useful." "Some people use and prefer a single desk and others prefer to use multiple. It would be good for non-technical users can make installations and removals of each desktop environments and change KDM - GDM - etc. so most easy." "Browser based Open Source Chromium It would be interesting, useful and educational (for some) if you can take the open source Chromium and create or modify it to have a final version google chrome browser alternative to all users with different expertise (different knowledge) can be used. Perhaps to create an opensource project collaboration between various Free and Open Source communities (distributions and applications) that is an alternative to Google Browser without the closed source, may also be taken up ideas and code of Mozilla Firefox. Some friends like the idea of fusion Chromium and Firefox code. (...)"
"systemd is a system and session manager for Linux, compatible with SysV and LSB init scripts. systemd provides aggressive parallelization capabilities, uses socket and D-Bus activation for starting services, offers on-demand starting of daemons, keeps track of processes using Linux cgroups, supports snapshotting and restoring of the system state, maintains mount and automount points and implements an elaborate transactional dependency-based service control logic. It can work as a drop-in replacement for sysvinit. " "So Stage 1 of the next openSUSE Conference is complete (submission deadline), and we are moving forward with Stage 2 (scheduling talks). I personally wasn’t privvy to last year’s submissions, but we have well over 80 submissions covering a huge range of topics this year which is brilliant. One of the nice things this year is we have submissions from other distributions and projects, which is great :-) The submissions from all parties cover a wide variety of topics from very technical to very fun, and it isn’t going to be easy to select which ones to accept." "Well, finally and happily I was able to make my LaunchParty for 11.3 here in my city. It was a simple setup: The place with the help of a local FOSS Academy that let me use his installations, Some media that I burn to giveaway, one of my laptops and my sister laptop to place two machines for desktop demonstrations, and just the desire to speak the word of the Geeko :D …"
"Yesterday, we had the Launch Party for 11.3 here in Chemnitz. It was interesting, how we do it we do it wron. For the last Launch Party we rented a room in a near cultural center, after that we thaught we can do it in the conference rooms of my company. And this time it was filled up :D We had a lot of guests. Some of them came really early and so it was time for an coffee and smalltalk. This time we prepared 3 talks, I started with the “openSUSE A-Z contribution guide” after that Tobias Koenig followed with “KDE yesterday - today and tomorrow, that was a really intersting presentation. He talked about how KDE started and he showed how KDE looked in earlier versions and on the end how showed some things what comes in future. Michl send me some books and I gived them away for the first questions (in Tobias case it was a nasty question about backuping akonadi). The last talk was a special topic, we had Kai-Uwe he talked about his Oyranos project, thats a server for color managment." "Short report from the openSUSE 11.3 release party Budapest, Hungary from an ambassador point of view. (...)"
"I have only a few words to this event. The pic is taken at Museumsquartier downtown Vienna at Launch Party. Thx go to Michl for helping me find a speaker for the event, Gerald Pfeifer for be that speaker and make the journey to Vienna and thx goes to quintessenz e.V. for organizing the rooms and the party himself." The mail lists have: 37695 (-1) subscribers. 4897 (+14) of 12452 (+34) registered contributors in the User Directory have signed the Guiding Principles. The board has acknowledged 431 members. "MythTV provides a unified graphical interface for recording and viewing television programs. Refer to the mythtv package for more information. There are also several add-ons and themes available. In order to facilitate installations with smart/apt-get/yum and other related package resolvers this meta-package can be used to install all in one sweep." "Over the past week so many great new updates were committed to the Factory, I just had to write about it. The openSUSE Factory the staging ground for the next release of openSUSE, but fortunately most app updates make their way into repositories for openSUSE 11.3 such as GNOME:Apps/openSUSE_11.3. Adding these repos in YaST can be an awesome way to get the absolute latest app updates for your openSUSE install, the downside of these bleeding edge repos however, is that the packages have undergone less rigorous testing than a formal openSUSE release. All disclaimers aside, onto the new fancy stuff!" "While Linux 2.6.36 development continues apace, a number of new stable releases iron out various quirks in previous versions. New versions of PowerTop and graphics drivers for AMD and NVIDIA graphics chips offer numerous enhancements and bug fixes." "Today, while toying around with the system settings menu in KDE 4.5, I noticed an option to enable the good old Ctrl+Alt+Backspace combo. It’s been a while since I’ve used that combination thanks to the stability KDE offers these days and, it wasn’t until I discovered it in the settings that I remembered using it a few years back. 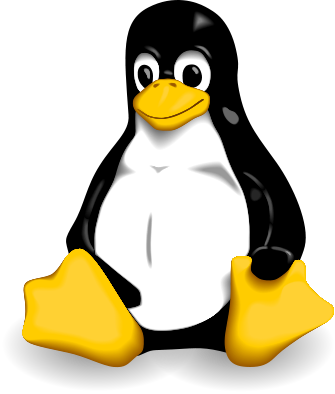 The combo, which allowed killing the X server is now disabled by default in many major Linux distributions." "In the world of label creation software for Linux, gLabels is the long-standing market leader. It offers a convenient graphical interface in which you can design labels with the same tools you are used to finding in image editing software, but it also supports business-friendly advanced features like “mail merge” and barcode generation. In addition to that, its focus on label creation offers some advantages in printing over general office or graphics alternatives, like simple control over printing partial sheets." "In the previous article on Python 3: When to Use Object-oriented Programming, the focus was on objects and their attributes and methods. In this article by Dusty Phillips, author of Python 3 Object Oriented Programming, we'll take a look at designing higher-level objects; the kind of objects that manage other objects. The objects that tie everything together." "As the kernel and user space exist in different virtual address spaces, there are special considerations for moving data between them. Explore the ideas behind virtual address spaces and the kernel APIs for data movement to and from user space, and learn some of the other mapping techniques used to map memory." "My last post on QML had a lot of people asking for an example, as opposed to a general discourse. In my opinion, if you want concrete examples you need to move from blogs into real code. Given that I have written a, hopefully simple, application demonstrating the points in my last post (designing C++ code for QML use), this post (writing games with QML), and the next QML post I plan to write (QML’s versioning system, when I’ll use version 2 of this example). It’s a C++ module containing word-game related logic designed for use from QML, plus a QML game using it, and they can be found in the qt-qml-demo-playground repository in the wordgame and longwords folders, respectively. They are merely intended to provide some concrete examples, and you don’t have to play with them before reading the rest of this post (but it is a game, so you can :) ). Now onto the topic of this post, writing games with QML." One: You can add Codecs and other stuff with a 1-click-package, avoiding to use Zypper, I just expose the zypper method because I think its a bit more short :-P , but that its just matter of taste. So, if you are running openSUSE 11.3 with KDE use this ymp, and if you are using GNOME use this other. If you are on a older version of openSUSE, just go to this page and select your version. Two: The broadcom-wl package its on Packman, so you have to add that repo (Via YaST -> Repositories), before you can install that package." "Linux® systems are often installed on multiple partitions, each of which has a fixed size. As your needs change, though, it is often necessary to resize partitions to suit your changing needs. Several tools exist to do this in Linux, but there are a number of potential pitfalls and restrictions that can make the task more difficult than it might at first seem. This article guides you through the task of resizing Linux partitions, beginning with basic preparations and moving on to common resizing scenarios using graphical user interface (GUI) tools." "Nginx (pronounced "engine x") is a free, open-source, high-performance HTTP server. Nginx is known for its stability, rich feature set, simple configuration, and low resource consumption. This tutorial shows how you can install Nginx on an OpenSUSE 11.3 server with PHP5 support (through FastCGI) and MySQL support." "Whether you are a frequent latex user, and especially if you are just starting off with it, you must have encountered situations where compiling the document correctly gets downright painful. Or found it just irritating to google every time or look up a cheat-sheet [pdf] to insert a not-so-common symbol. Or you know about the excellent application kile but as a GNOME/LXDE/Xfce user you did not want a zillion kde libraries installed. I have started maintaining three packages, namely Texmaker, TeXworks and Rubber, in the Publishing repository. These applications make working with and compiling latex documents user-friendly and painless." Mike McCallister: New KDE Desktop! Version 4.5 not perfect, but much better! "So of course, while I’m spending a glorious and relaxing week hanging out in Boulder, Colorado, the KDE community is working overtime fixing a few showstopper bugs. Version 4.5 of the KDE Software Collection (also known as KDE SC) was released Tuesday, a week late from the original release plan, but it looks like a pretty good one. Tyler Ballance over at OMG! SUSE! has a good overall summary of the highlights of this release. I got my Kubuntu laptop upgraded with only a little fussing with APT repositories (semi-inevitable on launch day). After just a day of playing around, I’m pretty happy." "We mentioned yesterday how important the addition of WebKit to the KDE platform was, but we didn't really go into enough detail on how you could use WebKit in your KDE experience." "Hold onto your hats! The KDE team just announced the release of KDE 4.5.0, the most recent release of the already awesome KDE suite. This iteration of the desktop environment includes updates to the developer platform, KDE's applications and the core desktop experience, all contributing to a very important release for the KDE community. Due to release schedules not quite aligning the way you might hope, you're not likely going to see KDE 4.5 debut on openSUSE any time soon, with 11.4 being scheduled for March of next year. In the meantime, what's a little KDE eye candy between friends?" OMG!SUSE! team: Happy Birthday openSUSE! "A short five years ago, on 9th August 2005 the openSUSE Project was announced. While SuSE Linux has been around for over 15 years, it was only during the past five years that the openSUSE project was created as an independent organization." "As 11.3 trundles forward and users face the usual complications, here we find one of them and some typical help is provided, offering some useful reference too." "As simple as YaST is some folks still seem to get confused by it. But good help solves the issue and saves the day for the OP." "Sounds like a good idea and easy!? Think again. It's a major undertaking and not to be taken lightly unless you understand partitioning and let's be honest, not many Windows users do. With the proliferation of 4 primary partitions being shipped with Windows PC's it's a nightmare." "Actually this time K3B is not wrong/buggy/broken or anything but correct. The media was in fact DS. Our user here made a mistake in his purchasing." "Novell today announced that Amazon Web Services (AWS) will offer hourly based pricing and support for SUSE® Linux Enterprise Server. Customers and independent software vendors (ISVs) of all sizes will have the ability to run SUSE Linux Enterprise Server 10 and 11 on Amazon Elastic Compute Cloud (Amazon EC2) paying only for the hours they use. The new offerings will be available in all instance sizes and in every AWS region around the world. In addition, Novell will provide a maintenance service on AWS so customers can keep their SLES instances up-to-date with Novell's most current security patches, bug fixes and new features." "LINUXCON, Boston, Mass., August 10, 2010 – The Linux Foundation, the nonprofit organization dedicated to accelerating the growth of Linux, announced today the launch of the Open Compliance Program, a comprehensive initiative that includes tools, training, a standard format to report software licensing information, consulting and a self-assessment checklist that will help companies comply with open source licenses, increasing adoption of open source and decreasing legal FUD present in the marketplace. (...)"
"Oracle Corp. filed a lawsuit against Google Inc. on Thursday, alleging that the Internet search giant has infringed on intellectual property related to the Java software that Oracle acquired when it purchased Sun Microsystems Inc. (...)"
"openSUSE began its life in 1994 in Germany as SuSE Linux and was based on Slackware Linux. It was a commercial offering, and although it adhered to the letter of the GPL, it wasn't easy for desktop users to download and install. Novell bought SuSE in 2004 and opened it up for community participation and enjoyment in August 2005. 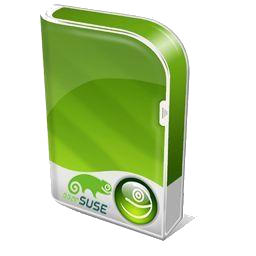 From then on, users could download and easily install the now-dubbed openSUSE. openSUSE earned lots of attention and happy users until its controversial patent agreement with Microsoft, but openSUSE slowly has been regaining some lost ground ever since." "The Free Software Foundation (FSF) is acting to implement strategies to broaden the participation of women in the free and open-source software community (FOSS). Recommendations for removing barriers and broadening membership among women in open-source projects were published July 16 by the FSF's Women's Caucus, which was formed nearly a year ago and was tasked to devise solutions to address the problem." "openSUSE is one of those few Linux distributions that gives you a choice of desktop environment while you are installing it, and doesn’t treat KDE or Gnome as a primary option. Both environments have equal support from openSUSE and are equally customized. Until a previous version (openSUSE 11.1) the installation would not even have a default desktop environment selected, and you would need to select one of KDE or Gnome before installing. Even now all that has changed is that the option of KDE comes selected by default, to ease the choice for new users. Besides Gnome and KDE, the openSUSE DVD version even offers XFCE, LXDE as an option along with a minimal X Windows environment, or text-mode for servers; all on the same DVD." "Linux is inherently not a secure operating system. The reason it's not secure is because Linux was based on the architectural design of UNIX, and the creators of UNIX didn't care about security – it was 1969 after all. "The first fact to face is that UNIX was not developed with security, in any realistic sense, in mind; this fact alone guarantees a vast number of holes," Dennis Ritchie wrote in his paper, "On the Security of UNIX" in 1979." "Motivational posters are made to inspire us by making us achieve certain goals and change our way of thinking in a positive way. It often uses a catchy image inside a black background with inspirational caption at the bottom. Demotivational poster is a parody of motivational poster that is always filled with wit and humor. I've gathered several funny tech-related demotivational posters that I would like to share with you all. I hope this will somehow brighten up your day. Enjoy!" Other Adobe products that support Flash may also be vulnerable." This page was last modified on 18 August 2010, at 12:35.